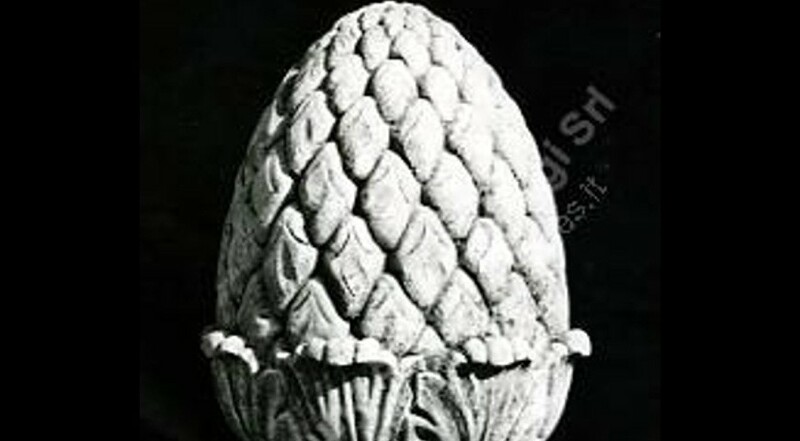 A pine cone finial carved by hand, with leaves decoration. Pine cones come from the Antiques great wizards otherwise known as Pine Trees also known as Evergreen Trees. This finial element is used also as top finial for a fountain, drilled for water (see on our Fountains for examples). This finial is the perfect garden ornament for a formal garden gateway, perhaps to a walled garden landscape.